Are not down right mad and ready to take a stand. California unemployment all time low, blah...blah. Is it really that confusing ??? Not wanting to pay people more ? With confusing semantics and double talk. Why aren't people more mad and on the streets ? Put a wrench in the cogs, till they listen. problem) says about wages vs inflation. "Recently, wage growth and inflation have been low relative to U.S.
the blue circles are below the fitted line. consequence of slower growth in labor productivity or output per hour. second quarter of 2009.1 "
is still plenty of competition at that level for yer job. I'm a semi-retired union carpenter and I am real happy with my wages. I think our training centers have a lot to do with our wages. We can take training classes for everything we do, so we get to go out already trained up. Contractors like that and are willing to pay us well. Tammy, this is widespread. I've bumped my Superintendent up from $30 to $36 an hour over the last three years and my carpenters and labores have had nice raises as well yet I've had to lock my markup at a recession level of 13% to keep us competitive. I honestly don't think my employee's standard of living has improved due to the cost of housing and insurance and I know mine hasn't. Moose, yer a scientist so why do you deny the data of the dismal science? And my position is if you sit on yer azz waiting for politicians and union chiefs to better yer life yer gonna be in a world of hurt. Only you can make yer life better. Insofar as you are addressing people like most of us who post here, you're probably right. Most of us are well educated, highly intelligent, and white. And, mostly, we're not young. If any of us here is suffering financially, we probably do only have ourselves to blame. But not everyone has the intelligence and the opportunity to get the education we did. Nor do they have the ability to rise from flipping burgers to managing the franchise. Or from driving the truck to sitting in the executive suite. And, increasingly, jobs within the capabilities of many people will disappear. The trucks will soon be driving themselves, which is fine if you are the guy buying the trucks, but not so fine for a lot of others. It's easy to say "F*#k them. I worked hard for what I've got, why should I care about a bunch of lazy slobs that want everything handed to them." But it's also short-sighted. Wages were flat partly because unemployment was high. As unemployment stays low, or drops further, wages will go up (in a otherwise growing economy). In some parts of the exonomy it won’t be true because of local conditions. Basically competition for scarce resources. It is a consumer economy fellas. What drives growth is consumer purchasing, yet consumers have less and less to spend, inflation adjusted. Contractor, As an interior trim carpenter I have admired the projects that you post up on the "show me what yer building thread" . Out of curious it's what do you pay your carpenters to stay competitive? Are they independent sub contractors or employees? Cheers. Even if everyone had the intelligence and the opportunity to get a degree, crappy service jobs aren't going to disappear overnight and you don't need as many managers as workers. Let alone the number who are sitting in the executive suite. If everyone had a college degree, salaries for the college educated would plummet far faster than wages on the bottom would rise. If society is going to tackle rising inequality, it will be through some sort of social policy. It ain't going to happen through self-improvement and the free market. Hi Steve, I'd say here in San Diego $35 on the books is the going rate for a good trim carpenter and $45 or $55 with a 1099 as a sub. I pay my lead guy $36 on the books plus part of his health insurance. I do all the critical lay-out, elevations and survey work myself so It would be a bit more for someone with all those abilities. Ghost, I’ll thank you, after my initial disappointment, not to put words in my mouth. For those of us that have 'pretty good' jobs (where we can pay ourselves and our employees in part through providing benefits, both health care and a contribution to retirement income), it has become harder and harder to raise wages because health care premiums keep going up. US worker productivity has been rising exponentially since the 1970's. 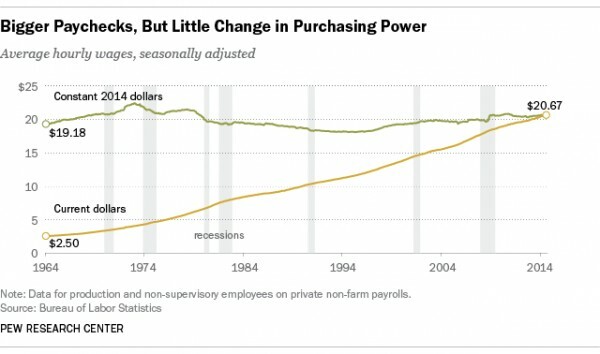 Wages have remained flat, or have decreased. The difference between productivity and wages is profit. Corporations are realizing record profits, which have gone toward obscene executive pay packages, and to pay lobbyists to agitate for the end of unions and collective bargaining. It's the Magic Hand of the Law of the Jungle at work. It's not a coincidence that Trump, his Swamp Rats, and the GOP are highly fixated on deregulation, and, failing that, minimal enforcement of laws they can't repeal. When one group has an asymmetric advantage over other groups, it is instinctual (c.f. Law of the Jungle) for them to want to perpetuate that advantage, and for them to use all manner of dementheses (demented hypotheses) to support their otherwise unsupportable position within society. Stagnant wages are just one tentacle reaching out from the 1%, as they try to strangle the United States into submission to their myopic vision for the future of the nation. What was the productivity growth like in the period 1980 to 2009? What was wage growth like during that period. Moosedrool- Are you aware of the planned container port at Punta Colonet? It lost funding due to the global collapse of sea trade during the great recession, yet the gears are still churning to bypass US union dock and shipping workers via a Mexican mega port and rail line into America's heartland. Yet another front on the war against union labor. It's not a rocket science. AFAIK we live in a capitalist market driven country. 1. Globalization and offshoring. Many jobs with high wages are being transferred to China and India. 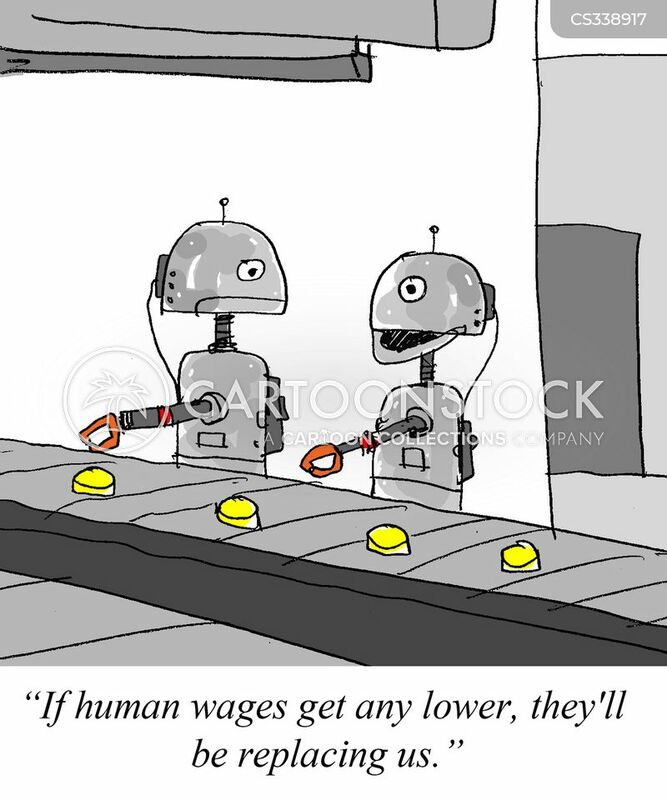 MacJobs with low wages are created instead. 2. Legal and illegal immigration increases a pool of workers competing for these jobs. Then we need to apply a law of supply and demand. As a result we receive flat or decreasing income and standard of life of majority of Americans. Thanks for the reply Contractor. As an independent sub here in Boulder your figures for a 1099 trim carpenter are right in there for an experienced craftsmen who is well tooled up and can make decisions without hassling the contractor every hour. Same goes for the rates for employees. I mostly work for two different contractors who I have known for years. One likes to sub everything out and have 5 jobs going on which drive him crazy by forcing him to drive all over town and be constantly on the phone. The other likes to have one good job going and tries to do a little bit of every thing himself, from driving the excavator, framing , trimming, and tiling i.e. He ain't afraid to put his bags on.These guys both know each other well and we always have a good laugh over each other's antics. Okay back to playing ping pong with my kid. Cheers.